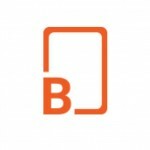 The following post is brought to you by our sponsor, IndiaBoulevard.com— a curated marketplace for Indian fashion. All the images below are courtesy the IB team. Okay, so it’s about time we address this question—something that’s probably on every South Asian’s mind. What are the most common stereotypes associated with us South Asians? Now, this list isn’t meant to offend anyone. It’s actually just a list of misconceptions we know other people THINK they know about South Asians, but are often wrong. So in keeping true to ourselves and our heritage, let’s put all the speculations to a rest, shall we? 1. Every South Asian simply eats spicy curry—all day, every day. Okay, so we admit we love (spicy) curry—and why wouldn’t we when it’s such a delicious and essential part of our tradition. But to say that we eat it for every meal is pushing it, amirite? One can’t simply eat curry three times a day when there are so many other varieties that South Asian cuisine offers—poori halwa for breakfast, daal chawal for lunch, and yes, maybe a spicy chicken curry for dinner. But you can’t go wrong with that! The bottom line here is simple—South Asian cuisine is diverse and suitable to anyone’s palette. And before anyone else mentions this one, let me just address it—we love spicy food! But try us for our desserts as well, they’re decadent as ever! 2. We randomly break into song and dance whenever we can. Yes, we LOVE to have fun—and if Bollywood movies aren’t the perfect example of how colorful our lives can really be, then we don’t know what to say. But this doesn’t go to say that we will break into dance anywhere and everywhere. We wait for an occasion, celebrations, and appropriate timing—but we always know how to have fun. So as long as you have a South Asian in the house, you know there’s going to be a lot of petting the dog and unscrewing the light bulb! 3. We’re all secretly doctors, lawyers, or engineers. You’ve heard this one right? 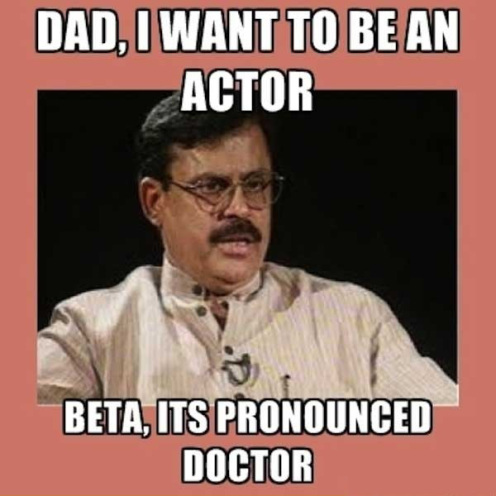 It’s a given that every South Asian parent will lecture their child into trying to pursue a career as a doctor, engineer, or lawyer. But how many of us REALLY listened? Well, truth be told, only the ones that are truly passionate about those fields. And no, we’re not all doctors, engineers, or lawyers. And no, our parents haven’t disowned us as a result of our decisions. 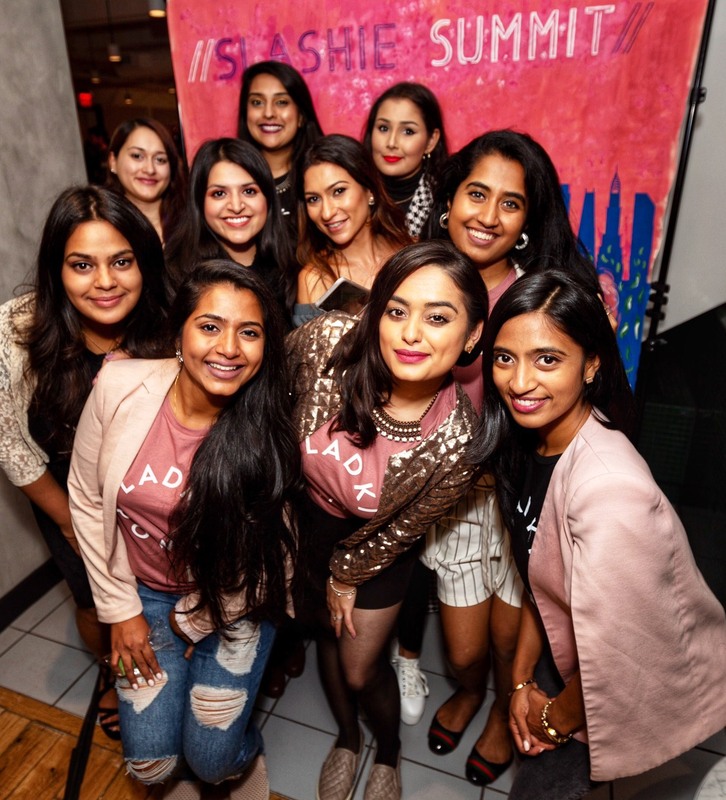 South Asian families are a close-knit unit, where everyone stands by another’s decisions, whether it be of becoming a doctor, or pursuing another dream. Don’t believe it? Tune into Aamir Khan’s “3 Idiots.” You’ll not only be thoroughly entertained and fall in love with the movie, but also learn that the Indian father isn’t necessarily the sabotager of professional dreams after all. 4. We all get arranged marriages. 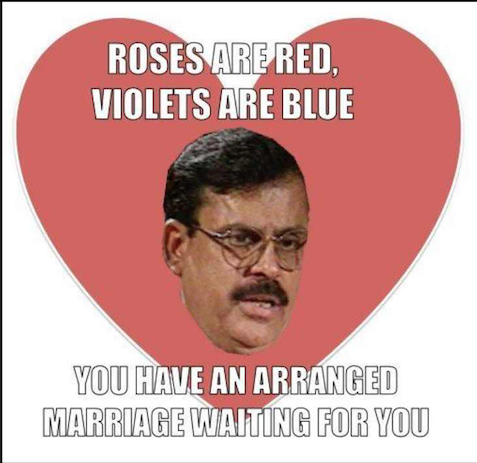 This one is a personal favorite—every time I tell someone non-South Asian that I’m married, I’m bound to get asked if I had an arranged marriage. My answer: No. But my parents did and they’ve been married for almost 34 years. So there’s nothing wrong with having an arranged marriage, but South Asian families, parents specifically, have become accustomed to modern-day culture, and embrace it. And even if it was an arranged marriage, you best believe that we don’t just meet on our wedding day—believe it or, but there’s still such thing as dating! Oh! 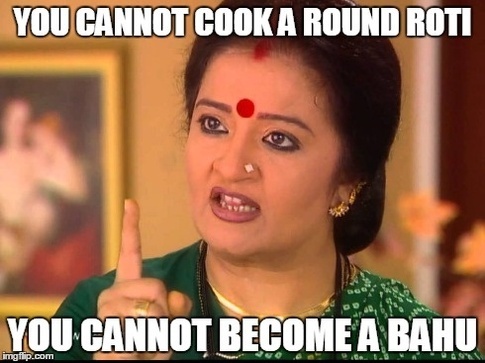 And talking about marriages, there’s that notion that every daughter-in-law needs to know how to make—you got it—roti! 5. We have about 15 people living in our joint family. Not everyone lives in a joint family—but who says that there aren’t some “Kyunki Saas Bhi Kabhi Bahu Thi” type families who all live together, happily ever after? 6. We all have THAT accent. In our defense, there’s nothing wrong with our accent. But there are millions of English-speaking people in India alone who don’t have THAT accent. Yup, you know which one I’m talking about. I can sum it up in two words: Russel. Peters. Who doesn’t like a deal? And when we can’t find one, we ask for one. No biggie! Bargaining is a part of a culture in many of the South Asian countries, and various regions. It happens because it’s prevalent where we come from. We don’t see our parents bargaining at their local Macy’s now do we? IndiaBoulevard is a curated marketplace for designer fashion. We connect customers from all over the world with a variety of designers, to make custom-made outfits. We believe that every person is unique and has a personal style. Our team combines your style inspirations with your spending preferences to customize the perfect design for you. 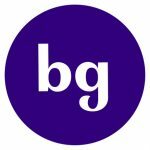 Our mission is to make designer wear accessible to everyone everywhere.